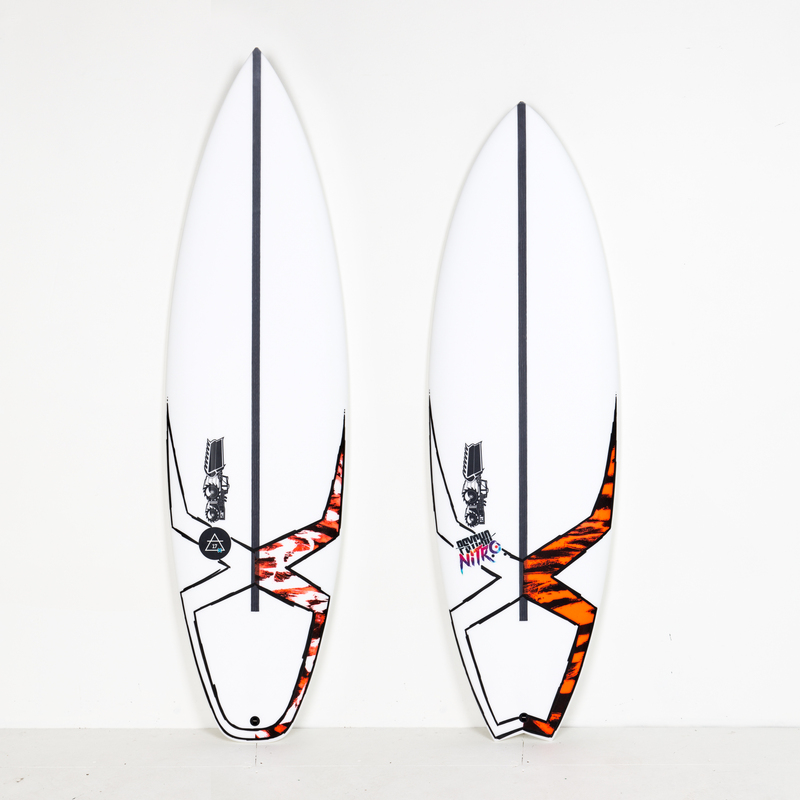 Having won at Teahupo’o earlier in the year on a new Forget Me Not prototype, we’ve worked closely with Jules and the rest of the Traktor Team to further refine the FMN into an even better board – whether it’s perfect Hawaiian tubes or just a well-shaped beachbreak close to home. We’re so happy with the feedback after over a year of R&D (including Pipe), that the FMN2 is now just around the corner. Back in Aus, the east coast hasn’t seen anything close to consistent surf since before Christmas. This lack of waves combined with the longest break of the year from CT competition has prompted Jules to dabble in more extreme grovelers than he’d normally have to, like the HYFI Psycho Nitro. Looks like summer! Having split his off-season time between Newcastle and the Sunshine Coast, Jules' small wave sleds were always going to be a put to good use. Air 17X and Psycho Nitro in HYFI, with bright new sprays by our in-house artist Adrian Turner.